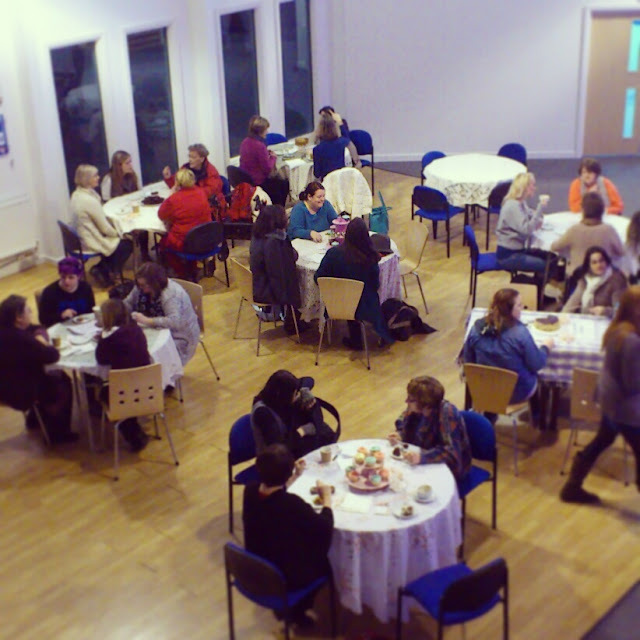 Today we held a women collective speed coffee morning! the idea is similar to speed dating but rather than look for a lover you were looking for a friend! one of the more important things involved was cake! i got there early and there was so much cake! we have some talented bakers in our church community although my baking was not required maybe my husband had told them about my previous failures in the baking department! these have involved burnt cake, hard biscuits you name it! i keep on blaming the oven! we had about 30 women attend which was awesome! plenty of tea and cake! conversations were had! i also ate two yes two slices of chocolate cake! was nice to have a break from the kids and sit and talk with out fussing over Aston and Amelie! i am sure my husband enjoyed not having me over his shoulder whilst playing with the kids! he did say he stood on Amelie s hand but that's not too bad! Anyway back to women collective, the tables looked awesome my friend who got married last year had loads of country chic accessories left from her wedding so we decorated the tables with these! all in all was a successful morning hopefully some new friendships made or even new support networks for some women! our next event is community action in our local area! exciting! Womens collective ministry is new to our church after my friend Chelser saw a missing gap and prayed into it and heard whispers from god! a year later in November 2012 we were having our first ever womens collective weekend away! its amazing to have a group dedicated to empowering and supporting the women of our church community!